I found myself thrown when I started playing God of War, the rebirth of Sony Santa Monica’s Greek God game…where did I recognise the voice was that coming from Kratos’ mouth? It was Teal’c from Stargate SG-1! Apart from stoking a desire to watch that classic show once again, I immediately though that Christopher Judge was a great choice to voice Kratos. As Teal’c, he had spent his life working closely with the Goa’uld “Gods”, and had a sometimes strained relationship with his son. Perfect for the role of Kratos in God of War. Why spend the first paragraph of this review talking about the voice actor behind Kratos? Simple, this God of War is as much a story of the journey, and growing relationship between a father and son as it is a story of waging war against the Gods. A certain power is required in the voice of a character like Kratos, and Judge delivers a top-class performance. His grunts of acknowledgement, his roars of battle and his quieter moments of reflection are all so suited to Kratos. In-game, Kratos is an imposing individual, all beard, tattoos and muscle. He’s the driving force of the game. While some could undoubtedly find some failings with the character (beyond the obvious poor parenting skills), without him the game wouldn’t be the same. The other characters that drive God of War forward are a mix of good, funny and underdeveloped. 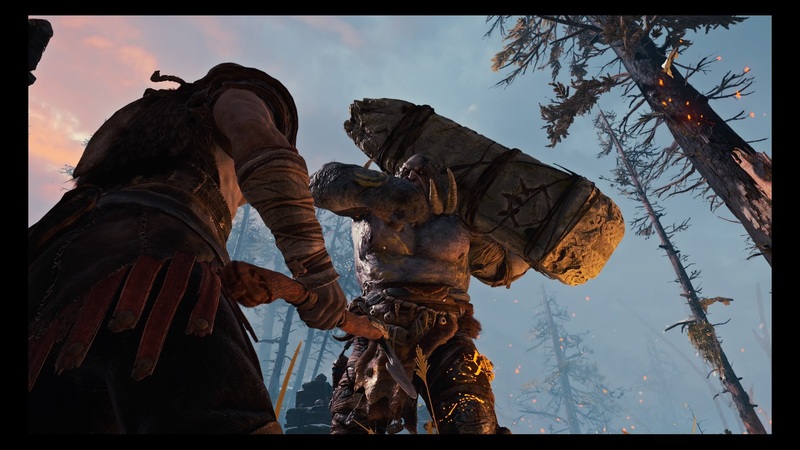 Kratos’ son, Atreus fades against the imposing might of his father, but their relationship over the course of the game is what you are here for. The blacksmiths, Brok and Sindri offer comic relief, while Mimir is the elder voice of wisdom. It’s just a shame that Freya feels so underdeveloped. There is such potential with her character, but she plays a surprisingly small part in the grand scheme of things. Yes, this is a tale of father and son, but a tale that is started with the passing of Kratos’ wife Faye. I just feel that Freya should have been able to play a larger role in proceedings. As the game progresses, the relationship between Kratos and Atreus goes through many highs and lows as you learn about their role in this Nordic world, and quest to lay Faye’s ashes to rest at the summit of the highest peak in the land of Midgard. I have really enjoyed listening to them during their adventures, and I can respect Santa Monica’s decision to keep their journey scripted without players directly influencing their relationship. Part of me wonders what a greater RPG element might have done for the game. Looking at the approach that is being taken with Assassin’s Creed: Odyssey, I think greater influence over proceedings in any future journeys for Kratos and Atreus would be welcomed. Big troll! Kratos smash troll! 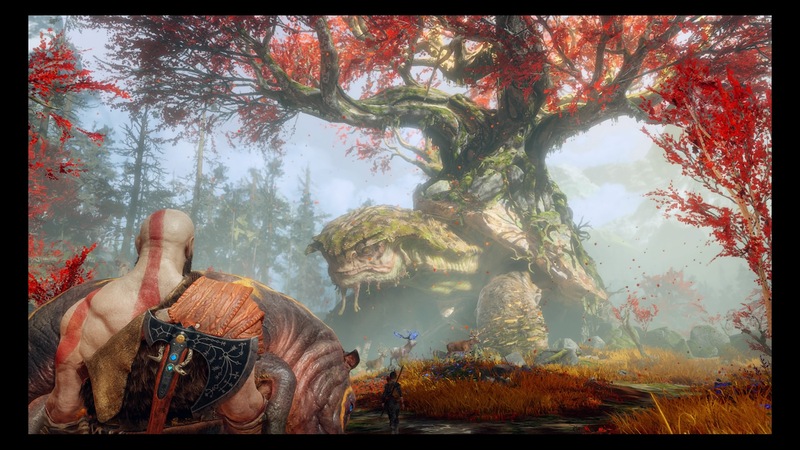 What is certainly welcome is how God of War approaches its open world. There is a strong linear approach to the elements that make up the main story-line. You venture to an area of Midgard and follow the route through to whichever boss or puzzle there is to be solved. During these story moments, you can venture slightly off track to find a chest to smash, or a lorestone for Atreus to read. But they are largely straightforward. It is between the story adventures that the world opens up. You can head straight to the next main quest, or follow Atreus’ calm quip to explore a little a bit. The world is at your feet, but it isn’t. 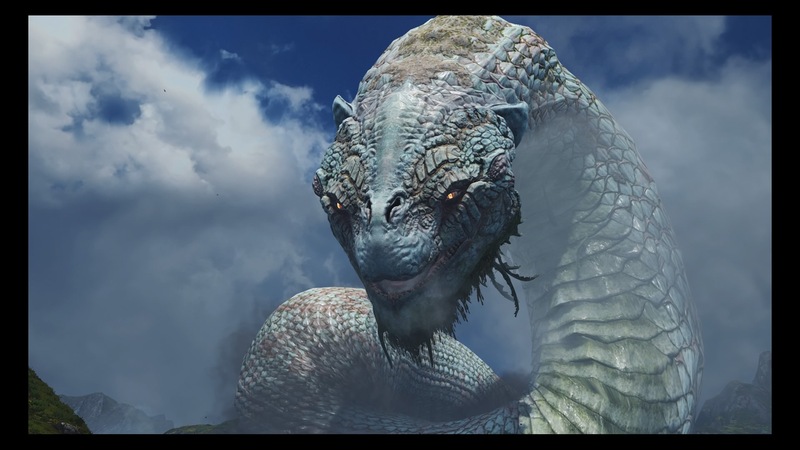 The events of the game take place around a giant lake which is inhabited by the World Serpant. You can sail around the lake, stopping off at small landing areas to find a chest or two; or explore larger areas with their own self-contained stories and quests to work through. This world isn’t static, as you complete parts of the main story, the Serpant will move around, lowering the water level and opening new passages and routes to explore. I’ve really enjoyed this approach to combining linear story moments with open-world freedoms. It might not suit everyone, some would rather a more straightforward narrative approach, while I’m sure others would want more freedom and side-quests. For me though, God of War strikes a perfect balance. Put all of these elements together and mix them up with the brutal, hard-hitting combat, and you have quite a magnificent game. I haven’t even mentioned the camera…pay attention to it. Everything takes place in a single-shot. It’s a thing of beauty. If you own a PlayStation 4, this should be in your collection. Review based on copy purchased at retail. For more on our scoring policy, please head here.